Harmony Hotel is a new high class hotel, built with Scandinavian design, located 150 meters from the amazing white Alona Beach on Panglao Island in the Philippines. 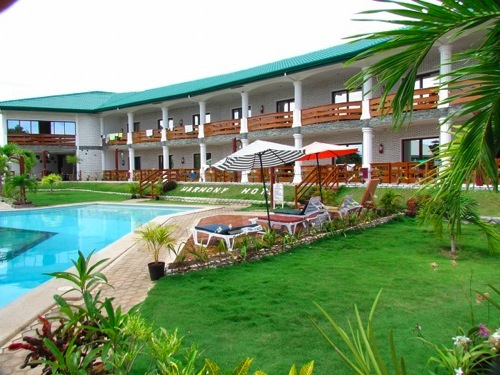 The hotel is located in a safe and secluded area and it is surrounded by beautiful nature. We offer 26 large rooms designed with the guests comfort in mind. All rooms have hot&cold freshwater, air conditioner and beds with supreme comfort. Enjoy the 140 square meters large swimming pool with kiddie pool and jacuzzi and our cozy poolside restaurant. We offers high class accommodation at reasonable prices. View more pictures of the hotel in Google 360° View.